Also described by the Gramophone Magazine as “virtuoso of power and poetry”, Eldar Nebolsin is considered one of the most versatile and interesting musicians of his generation. A former student of renowned Russian pianist and teacher Dmitri Bashkirov, Eldar currently records for the Naxos label. His debut album, Rachmaninov’s Preludes op 23 and 32 earned the Classicstoday.com praise “close to stunning … Nebolsin’s is a truly exceptional excursion into the music of Rachmaninov “, while his second album released the following year, both Liszt Piano Concertos and Totentanz with the Liverpool Philharmonic and Vasily Petrenko, earned top place on Naxos’ Bestseller’s Digital Platform for six consecutive months. The next albums for Naxos were Ernst von Dohnanyi´s Variations of Nursery Theme, with the Buffalo Philharmonic Orchestra and Jo-Ann Falletta released in May 2010, and Chopin’s all works for piano and orchestra with the Warsaw Philharmonic and Antoni Wit released in August 2010 followed by a solo album of works by Schubert released in the summer of 2011. The piano quartets by Brahms are soon to follow. Earlier recordings include two albums for Decca – a solo works by Chopin and Liszt, and Chopin’s Piano Concerto with the Deutsches Symphony Orchester Berlin and Vladimir Ashkenazy. Some of Eldar’s more recent engagements are re-invitations to the Royal Liverpool Philharmonic Orchestra under the baton of Vasily Petrenko and Alexander Shelley, an all-Liszt evening Lisbon with Jaime Martin, his debut with Helsinki Philharmonic under the direction of Ralf Gothoni, and a recital tour in Canada and USA with Eldar’s frequent partner, Maxim Rysanov, viola, as well as his debut with MDR Symphony Orchestra and Jun Markl at the Gewandhaus Leipzig, and a tour throughout Spain performing Listz’s 2nd Piano concerto with the Royal Seville Philharmonic Orchestra. Eldar also returns for the third time to perform with London’s Royal Philharmonic Orchestra, this time sharing the stage with Josep Caballé-Domenech. He debuts in both recital and concerto repertoire in Brisbane, Australia, as well as in Taiwan and is invited to perform at the famous Spectrum concerts and festival in Utrecht next to Janine Jansen. In the Chamber Music field, Eldar collobarates with some of the world’s most renowned musicians such as Julian Rachlin, Maxim Rysanov, Alexey Ogrintchouk, Ilya Grintgolts or Gustav Rivinius. Recent chamber music engagements include performances with the Leipziger Streichquartett, Barnabas Kelemen, Miklos Perennyi, Alexander Melnikov and Wolfgang Emmanuel Schmidt. During this 09/010 season Eldar enjoyed the honor of being Artist in Residence for Musis Sacrum in Arnhem following his successful debut with the Gelders Orkest and Nikolaj Alexeev in 2008. 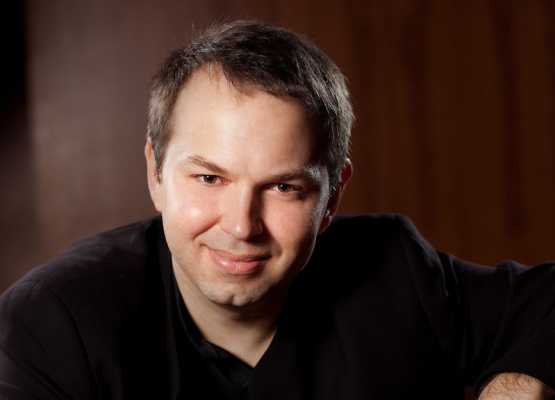 In 2005 Eldar Nebolsin was unanimously awarded the Sviatoslav Richter Prize in the 1st edition of the International Piano Competition in Moscow where he was also honored with the special Award for the best Classical Concerto performance. Eldar’s international performances have taken him to the stages of some of the most famous orchestras of the world – New York Philharmonic Orchestra, the Chicago Symphony Orchestra, Deutsches Symphonie Orchester, Vienna Chamber Orchestra, Orchestre de Paris, Gulbenkian Foundation Orchestra, Orchestra di Santa Cecilia in Rome, Tokyo Metropolitan Orchestra, Sydney Symphony Orchestra, Sankt Petersburg Philharmonic Orchestra and Moscow Philharmonic Orchestra with outstanding conductors such as Mstislav Rostropovich, Ricardo Chally, Yuri Temirkanov, Leonard Slatkin, Charles Dutoit, Vladimir Ashkenazy, Vasili Petrenko, Nikolaj Alexeev, Vladimir Spivakov or Lawrence Foster amongst many others. Eldar holds a piano Faculty at the Hanns Eisler School of Music in Berlin, where he now lives.